Brian’s passion, expertise and dedication to film evident through his own filmmaking, support of other local filmmakers and in founding Belfast’s independent short film festival, Film Devour. He is all about supporting local talent. Born with a love of film and music, Brian found home for his creative talents in story telling with film as his medium. Brian has written and directed a number of short films winning awards for Hoplophobia (2014) and Redlight (2013). 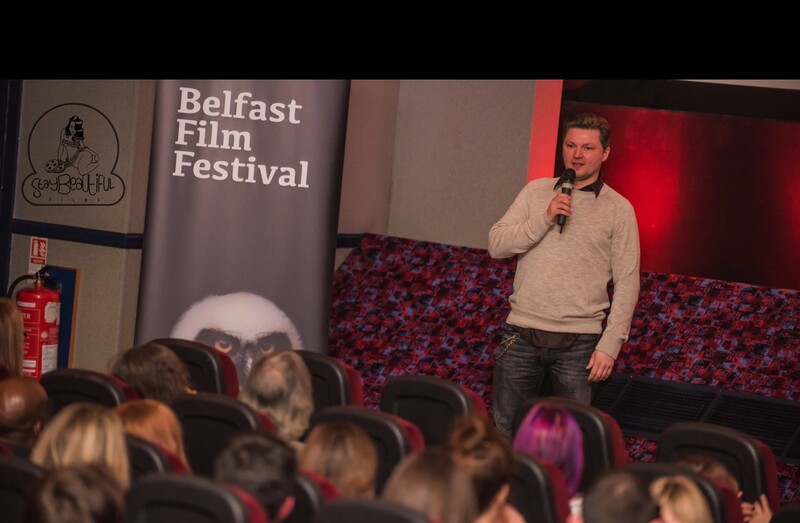 His first feature film, The Monday Club, described as a “love letter” to Belfast – the city he calls home. The next feature script is already waiting, along with a number of shorts. Corrine is a communications specialist with a passion for digital media, she has 10 years experience working for a large international NGO. In media, communications and campaigns storytelling is key. Corrine has extensive experience of project managing and producing a number of film and photography pieces on a range of themes and for different audiences. The Monday Club was her first time producing in the independent film arena but quickly found her experience and skills matched perfectly for the role. She went on to acquire and produce the short film ‘Letter to my 14 year old self’ released online it received local, national and international press and thousands of views within days. Further projects are currently in production.